Eintracht Frankfurt fans do not like the idea of playing on Mondays. 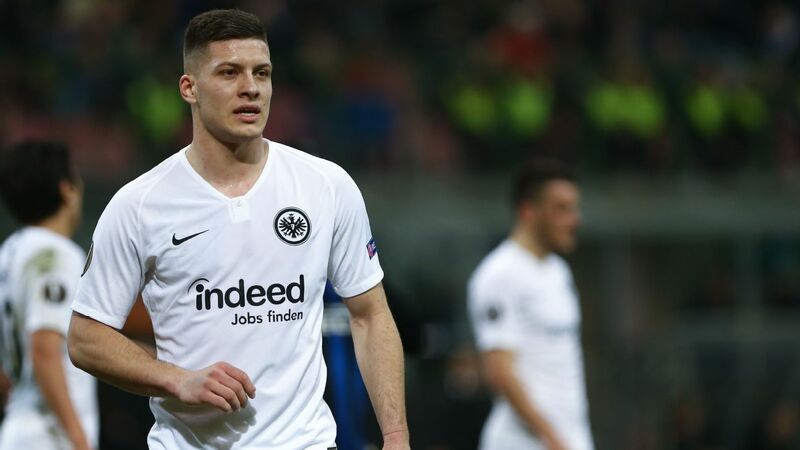 Eintracht Frankfurt fans protested against the German football federation (DFB) for staging games on a Monday night, delaying the game against RB Leipzig for several minutes. The second half was delayed when Frankfurt fans threw thousands of tennis balls onto the pitch and covered one of the goals with toilet paper. The club was apparently aware in advance of the action as a large team of helpers came out to clear the pitch with leaf blowers. "It was peaceful and then everyone went back. It was OK,'' injured Frankfurt forward Alexander Meier said at half-time. Before kickoff, supporters left the terraces and surrounded the pitch to protest, while others displayed banners blasting the federation, including "Football-mafia DFB." Kickoff was delayed for six minutes and the game began to a cacophony of whistles from the home supporters. The whistling finally subsided in the 22nd minute when U.S. international Timothy Chandler equalised for the home side, poking the ball home from close range after a corner, four minutes before Ante Rebic set up Kevin-Prince Boateng to complete the turnaround as Frankfurt won 2-1. Fans resumed their whistle-protest once the celebrations died down. The fans' ill temper transferred onto the pitch, with the referee showing six yellow cards in a hard-fought second half alone. His final whistle finally ended the fans' whistling.